Manila, Philippines -- This movie is about a famous figure skater known as Tonya Harding, to which Margot Robbie whom we know from Suicide Squad as Harley Quinn portrayed the starring role. What initially attracted you to I, TONYA? I was sent the script with the knowledge that Margot Robbie was attached. 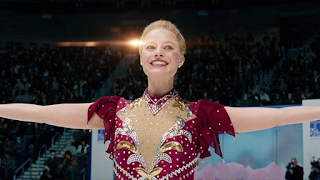 The combination of Tonya Harding and Margot Robbie was an immediately exciting idea to me. After reading Steven Rogers script, I was absolutely sold. The story was so masterfully told, with such a beautiful balance of emotion and humor, and a completely unconventional structure that was both intimidating and exhilarating. I couldn’t have been more excited. It was a very tricky tone, but I thought it was beautifully suited to Margot. The dance I had seen her do in previous work between humor, vulnerability and strength were all attributes that I thought embodied Tonya’s world perfectly. Can you talk about the evolution of the film from when you came aboard through filming? The script was in such good shape. A main priority for me was capturing the spirit of Tonya and honoring the script. There is a defiance and courage in Tonya. She has a spirit and an energy that I wanted to capture in the film. That meant a lot of moving camera, hard cuts, and music that helped create the chaos and euphoria of her life at that time. What did you know about Tonya Harding before making the film and after? I was very familiar with the incident. I was working in advertising at the time, and had actually done a Campbell’s soup commercial with Nancy Kerrigan 3 months before the incident! Even so, I didn’t know all the details. I had assumed it was something to do with Tonya and Jeff Gillooly. Discovering the world that Tonya came from and the focus and perseverance for her to make it to two Olympic Games amidst all the chaos of her life gave me a completely new perspective of her. What do you want the world to know about Tonya after seeing this film? She was always cast as the villain in the media, and her life is so much more complicated and tragic than that. Not to take anything away from Nancy Kerrigan, it’s awful what happened to her, but I felt there was a much more complex story of Tonya to be told. I wanted to humanize her, and possibly empathize with her. Did you meet with Tonya and what was that like? Margot and I had the opportunity to meet her. She was very trusting and candid. It was enormously helpful to see the person behind such a well-known name. To see how she has moved on and overcome such an infamous time. I was so fortunate to have Margot Robbie and Allison Janney already attached when I came on board. I couldn’t have imagined a better cast! Paul Walter Hauser came in and blew me away for the role of Shawn Eckhart. He was amazingly funny, but it always came from a sincere, genuine place. Exactly what I was hoping for. The role of Jeff Gillooly was the hardest role for me. The relationship between Tonya and Jeff is so volatile. I needed someone who could dance between the humor and violence, but still be sympathetic. We looked at a lot of actors, and it was so hard to nail the tone. Sebastian auditioned and it was pitch perfect. The chemistry between Margot and he was undeniable. They both did such a beautiful job of keeping the humanity in the performance while touching on humor when needed. How did you handle the skating in the film? Was it hard to find someone to do what Tonya was able to do? Early on I meet with our Skating choreographer, Sarah Kawahara, to discuss what Margot would be able to do, and what we would need doubles to do. Margot trained for 4 months and did an amazing job, but obviously skating at an Olympic level would require doubles. Sarah immediately said we won’t find anyone to do the triple axel, there have only been 6 women to have done it in history. Currently there are two whom are both competing next year in the Olympics, and can’t risk injury. I was stunned at how difficult it was, that Tonya had achieved it 25 years ago and so few had been able to master it since. We ended up having to do it with visual effects! I, TONYA opens February 7 in select cinemas nationwide, distributed by Solar Pictures. For updates, visit solarpicturesPH on Facebook, Twitter, and Instagram and use the hashtag #ITonyaPH.